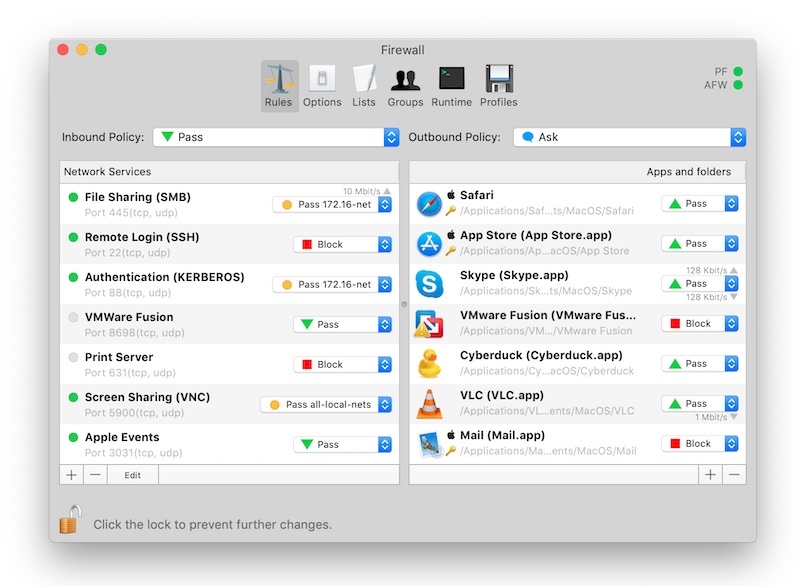 Scudo is a hybrid firewall for macOS that combines an inbound network-layer packet filter with an outbound application-layer firewall. 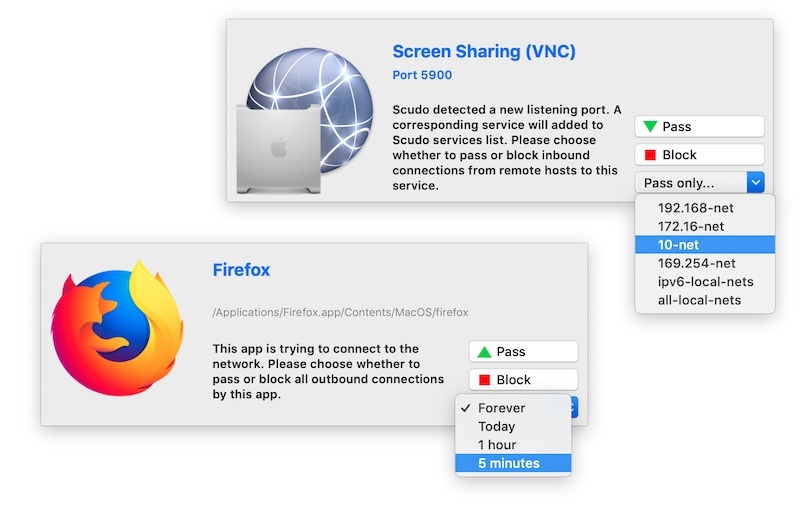 Scudo helps protecting your Mac’s network services from unwanted connections from remote computers and improves your privacy and security controlling all apps network activities, allowing you to choose which app is allowed to connect to the network. Everything is controlled in a single window, its usage is really simple and safe. A detailed PDF manual is included in the package. Scudo requires OS X 10.11 El Capitan, macOS 10.12 Sierra, 10.13 High Sierra or 10.14 Mojave. This is a beta release. Please report bugs to info@murus.it, thank you. This release of Scudo has been tested on macOS 10.13 and 10.14. Scudo is an alternative to both Murus and Vallum. If you are a Vallum user you must uninstall Vallum using the correct Vallum uninstaller found in Vallum DMG before installing Scudo. If you are a Murus user you must uninstall Murus Boot Scripts before running Scudo.